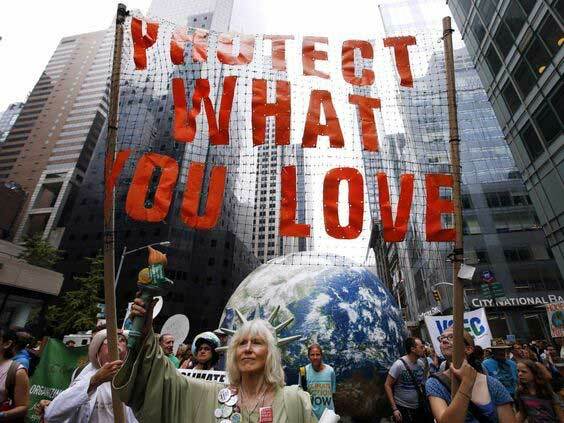 When doing demonstrations, protests, and counter-protests, one of the greatest tools at your disposal is the protest sign. 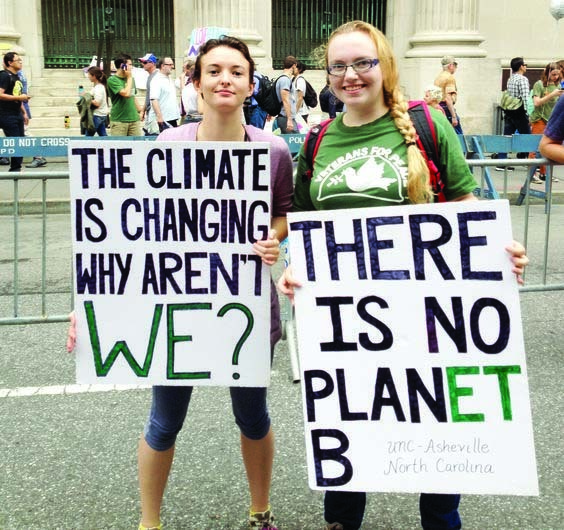 A protest sign allows for immense creativity, can be used in just about any scenario, are often very cost-efficient to produce, and, as an added bonus, are capable of bringing a lot of added attention to any given activity. The most important thing that a protest sign needs to be is eye-catching. In order for your sign to stand out, there are a number of important factors to consider when constructing the sign to make it more visible and attractive to the eye. These include deliberately selecting your colors, materials, and content, as well as making sure that the sign can be read easily from a distance. The content of a protest sign is absolutely crucial. Not only should it have a concise message, but it also needs to deliver the tone to passers-by. 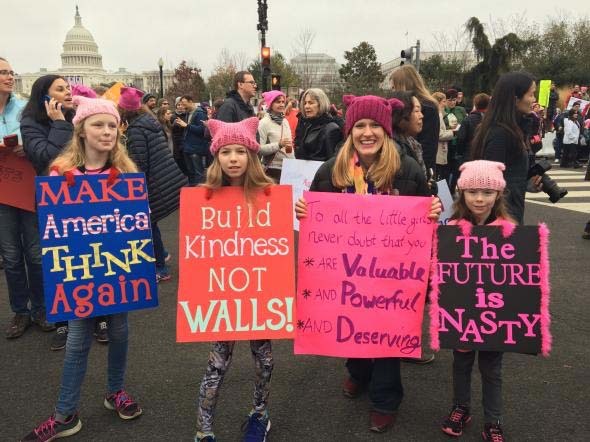 The content of just one protest sign can make the difference between someone walking away in disgust, taking a picture to share on social media, or even joining in on the protest. 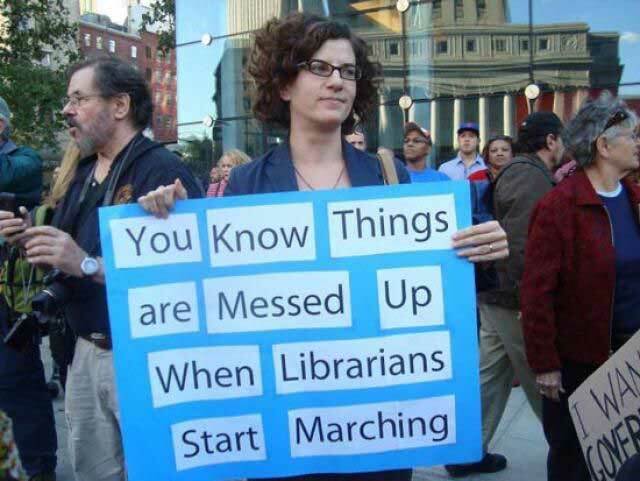 To this end, humor can sometimes be one of the most effective things to include on a protest sign, but if done poorly, can actively turn people away. Likewise, a warm message of inclusion will set a different tone for your activity than a fired up call to action. It is crucial that thought is put into their content, and that they aren’t thrown together haphazardly. Be creative! Sketch out what your message is going to look like on your sign. The number of words should be kept to a minimum in order to keep your statement concise and allow for plenty of room for large letters. The font of the text (whether printed or done by hand) needs to be both bold and large, and presented in such a way that your sign can be read from a distance. Text-based posters have the most impact with a limited color palette. Your main text should always be well-contrasted against its background, even if that background is full of color. Kerning plays a role in effectively communicating a message from across a crowd. If someone can’t read your sign because you ran out of space and smushed a bunch of letters together, you might as well not be holding a sign at all. Do a readability check by walking a fair distance away from your poster. Can you still read it, or did you have to squint? Certain colors specifically pair well together when trying to get someone’s attention. For instance, many movie posters will combine orange and blue: this is because they are considered “complementary” or “opposite” colors, and make each other stand out. If you decide to use colors other than black, make sure the colors are not too light. Colors such as pink or yellow will be very difficult to read. Foam Core Sheets – The recommended method of construction and most minimal. It’s a little more rigid, but still light enough to carry for an extended period, and you don’t really even need a post. If you would like a post, you can attach it to a cardboard tube with zip ties. Poster board in any color you want (fluorescent is great); a piece of cardboard sandwiched by two pieces of posterboard, on which you will write your message. The cardboard center increases the sturdiness. Sandwich the cardboard with the two pieces of posterboard and staple the top and sides. Do not connect the bottom initially. Insert your cardboard tube inside of the sandwich of cardboard and posterboard. Staple and glue. If you are expecting your protest to receive any form of media attention, having a double sided sign is much more effective in conveying your message. 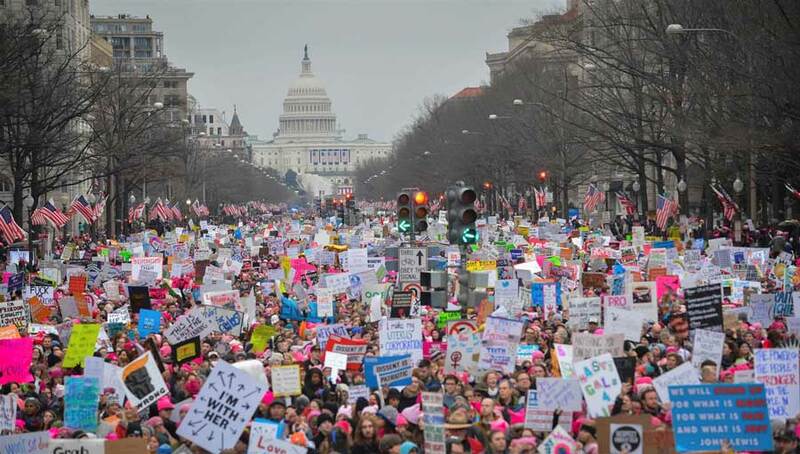 The media will likely cover the protest from an array of aesthetic angles, and at certain points it is likely that the protesters will not all have signs facing the same direction. Making a double sided sign capitalizes on as many angles as possible and can greatly increase message visibility. Print enlarged words on standard copy paper and glue onto foam core, pasteboard or plain cardboard assembling a message. If you want color, try printing letters in outline form and then coloring them in later. Use colored vinyl tape to create letters and words. Use sheets for large signs. Cut slits in them to let the wind through. Have poster commercially printed as photos with text or on vinyl to be weatherproof. The ocean is rising and so are we.